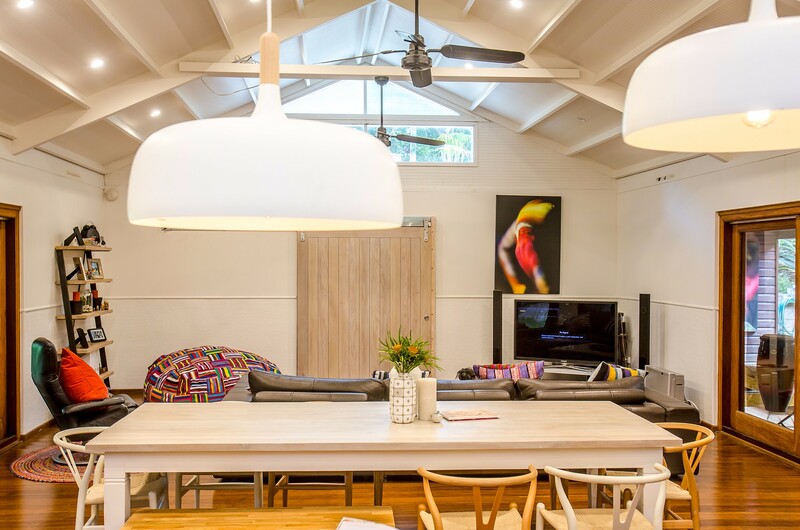 Beautifully positioned in a sun-dappled garden of spacious proportions with the focal point a huge, magical fig tree, this light-filled property feels like a home away from home. 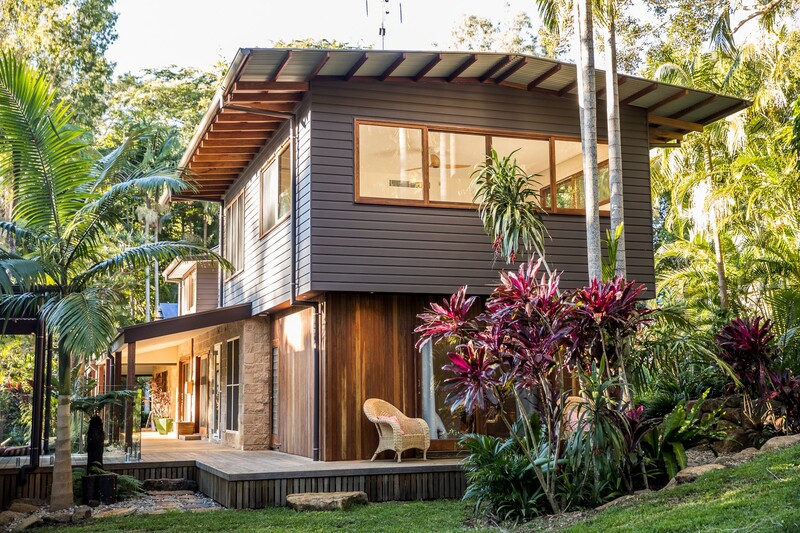 Large timber windows and sliding doors ensure the feeling of space and light with views of nature from all rooms. 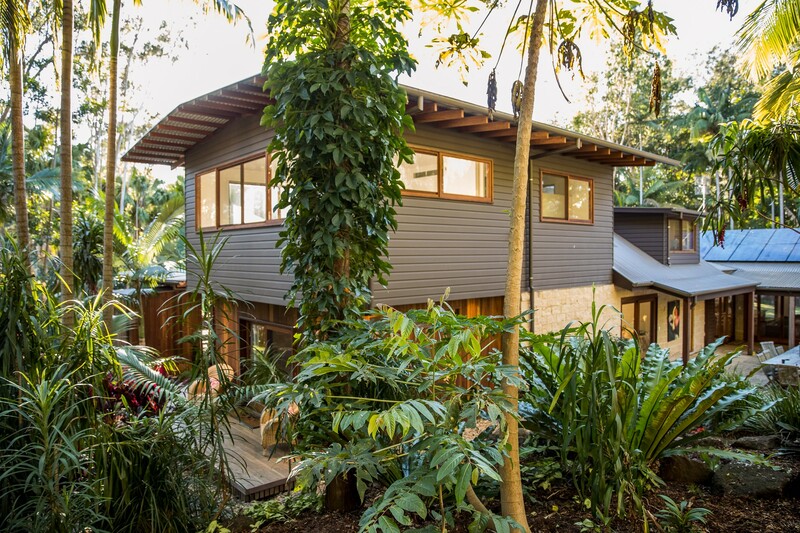 Make excellent use of the 4 bedrooms, office and study to offer the in-laws a holiday in Byron Bay or choose the freedom of working from home. 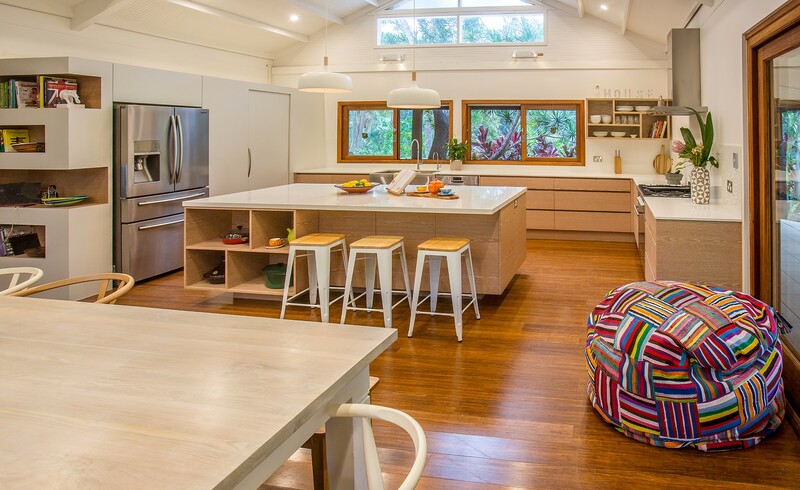 A stunning central living area with high ceilings and an enormous entertainer's kitchen provides an inviting space for family and friends. A double fold-out sofa in the media room means provides guests with the option to accommodation 1 additional adult or 2 children. 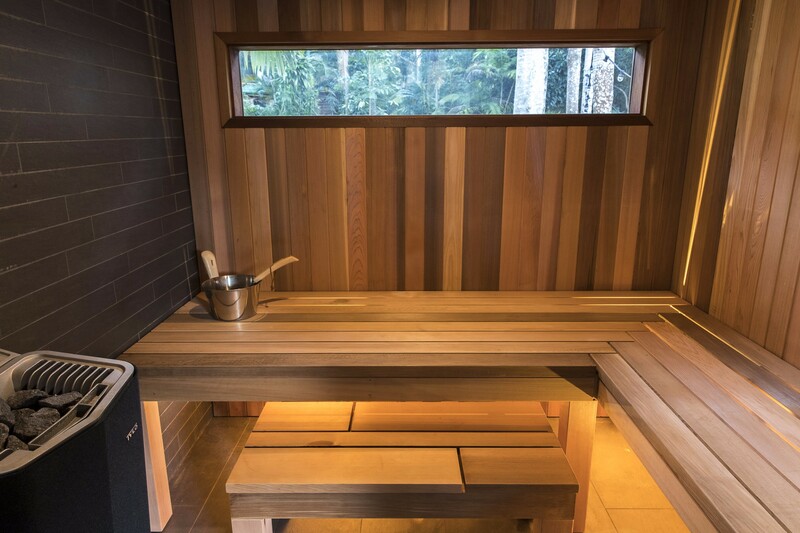 To complete this magical package there is a sparkling pool and deck, relaxing spa, sauna and outdoor kitchen. 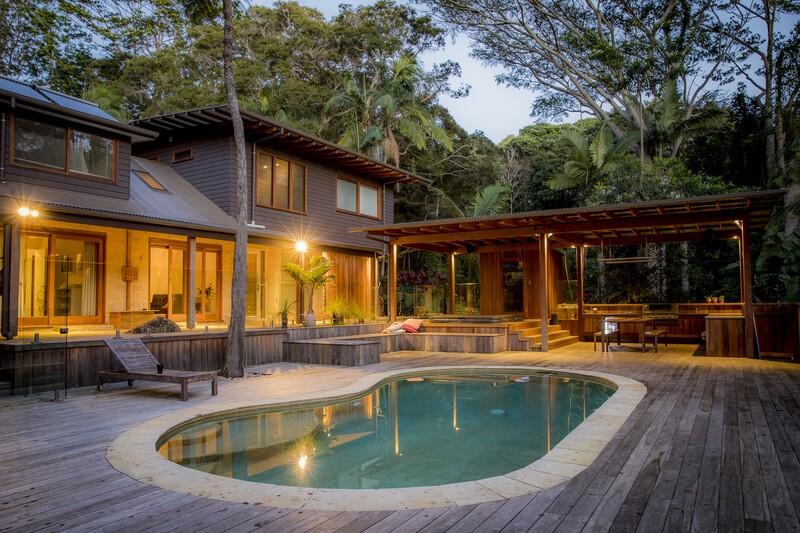 Far from the bustling centre, yet deceptively close to Byron Bay town, Hinterland villages and restaurants, this well-located holiday rental is ideal for families and groups. Catch up with family news on a long ramble through the rainforest and see children’s delight as they spot wildlife and domestic animals at the nearby “Farm” attraction. 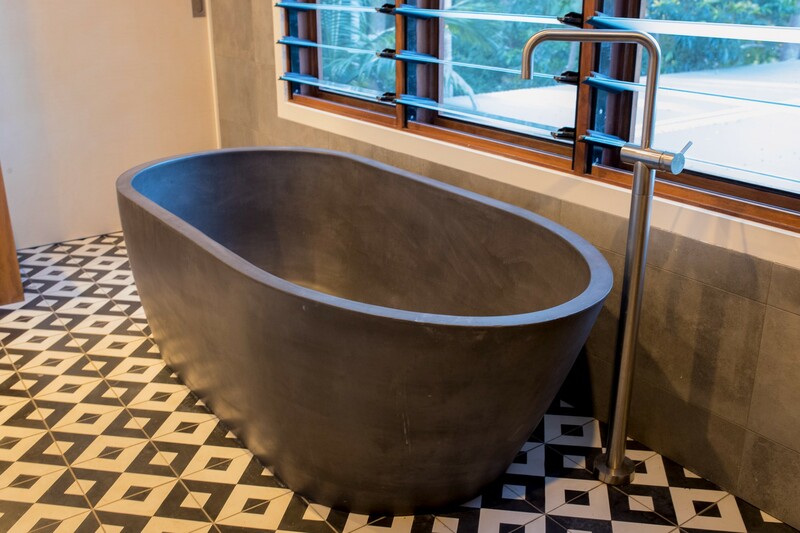 Local shops are an easy 3km trip and Byron’s laid-back café lifestyle and beaches are just 7km away – if you can drag yourself away from this comfortable idyll. The family-sized dining area has a wooden table and chairs for 8+ overlooking the garden through a series of sliding doors. It adjoins the open-plan lounge area which has leather sofa seating around the TV. Watch the match or relax to music, courtesy of the Sonos sound system. 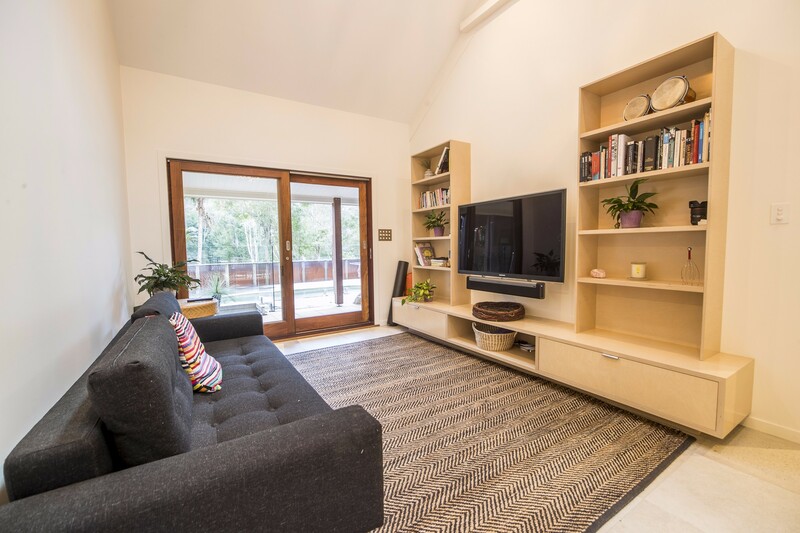 This spacious Hinterland holiday home has plenty of space for families to spread out, including a second rumpus/media room with sofa and library bookshelves. The living area also offers air conditioning for guest comfort. 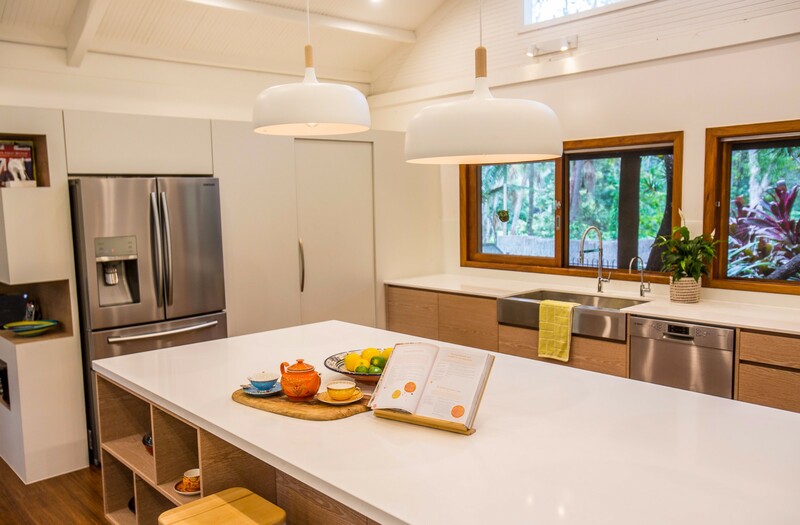 The designer kitchen has a double-height ceiling and lofty windows for light bright space. 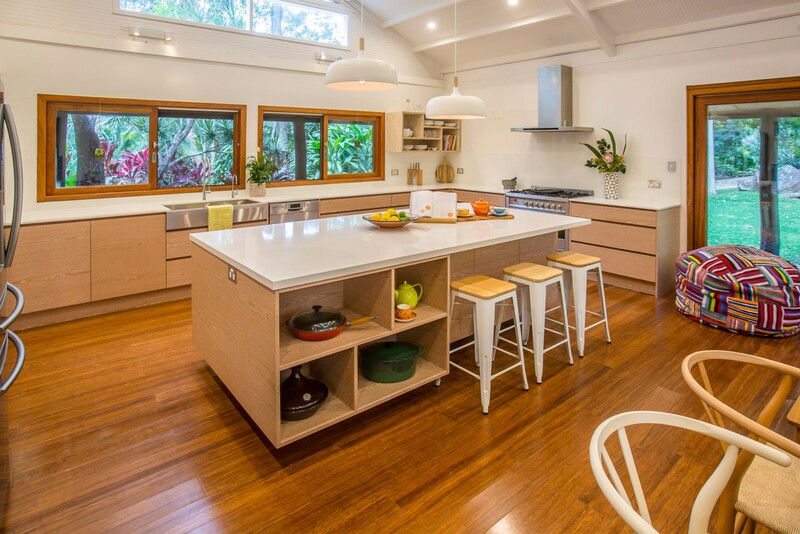 It boasts ample cabinets and worktops for meal prep and a central island for guests to enjoy conversation together while preparing food and cocktails. Built-in appliances include a dishwasher and French door refrigerator with freezer drawer below. 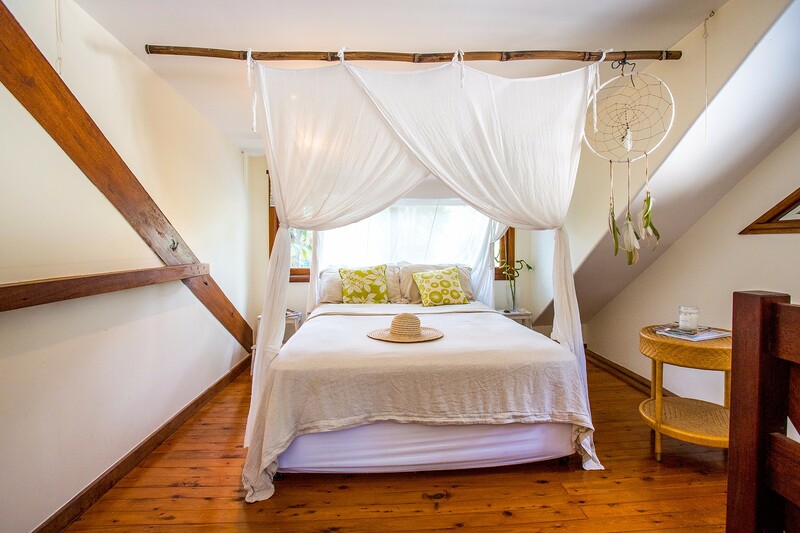 4 bedrooms offer bedding for 8 guests, including one queen bedroom with a four-poster-style bed with net drapes. 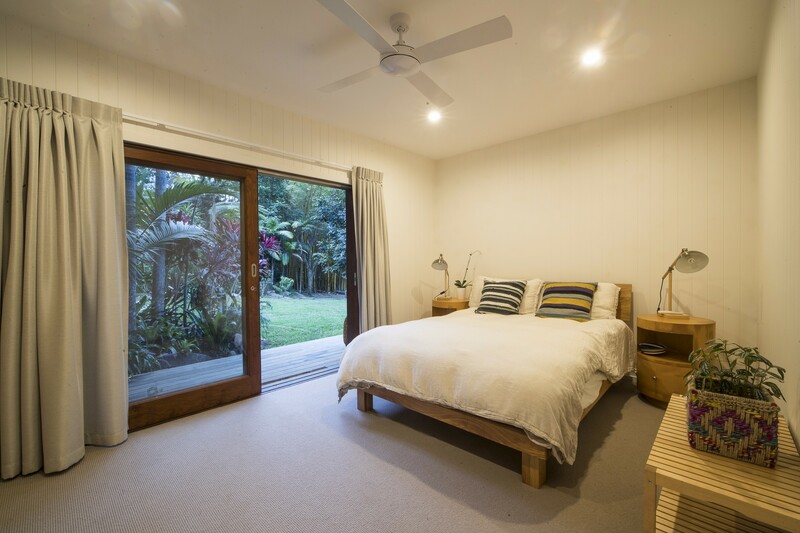 All bedrooms offer reverse cycle air-conditioning, as well as ceiling fans. 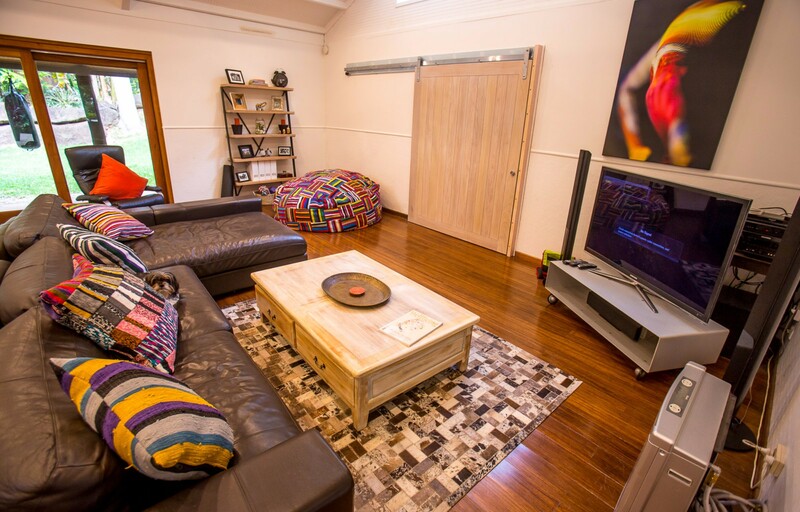 *There is also a double fold-out couch in the media room suitable for one adult or two children if required. 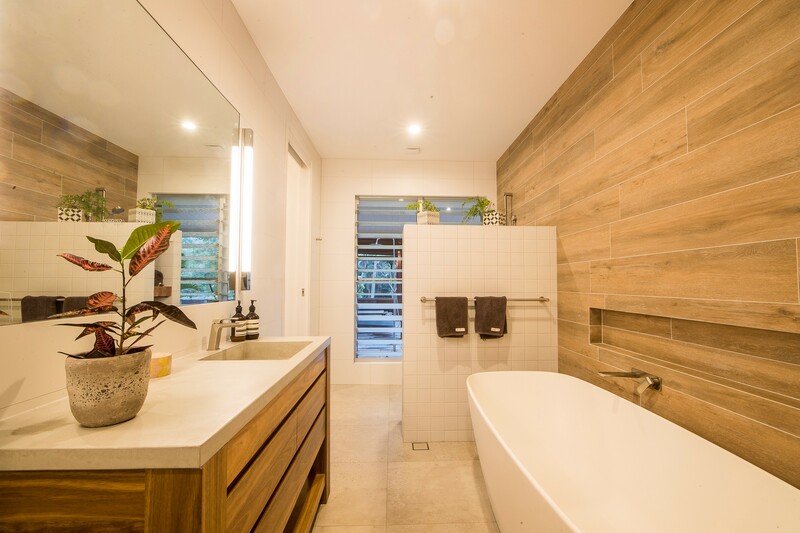 Three modern bathrooms add a spa-like quality to the accommodation with freestanding bathtubs and separate showers in the master ensuite and shared family bathroom. 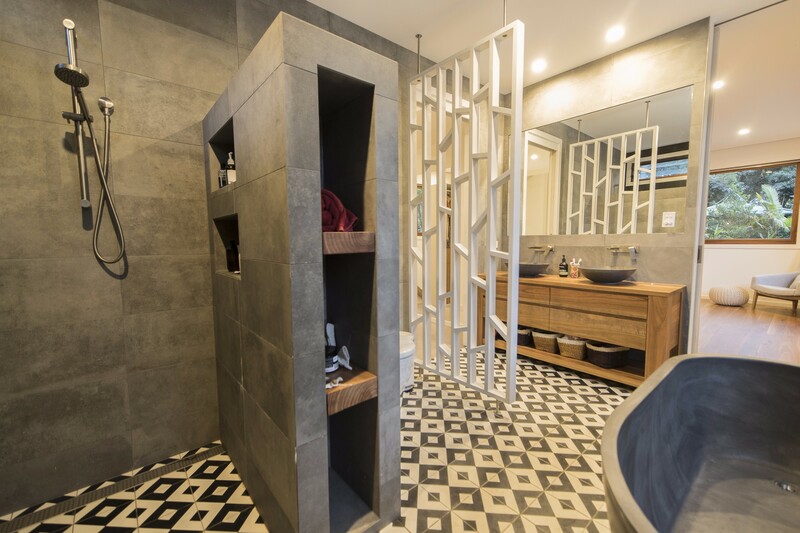 A convenient third bathroom has an external entry for those returning indoors from the pool or after a spell in the sauna. 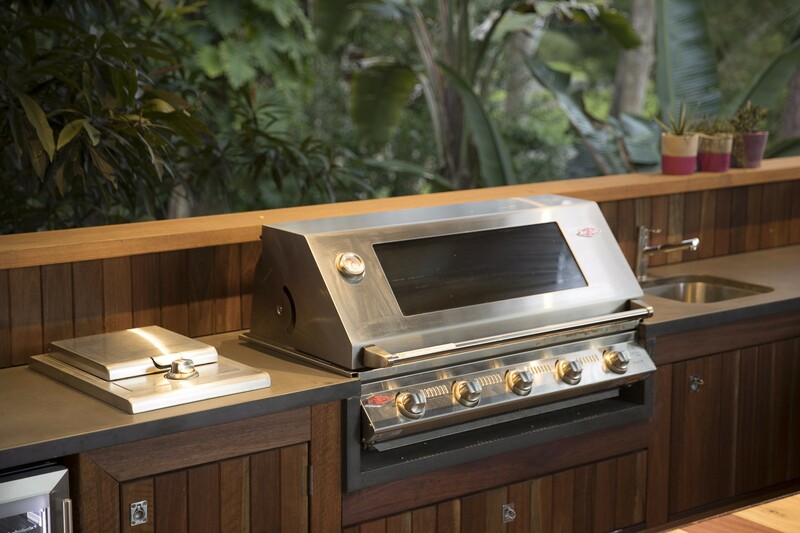 The award-winning outdoor entertaining area with timber BBQ pavilion with dining area and spa ensure a shady place to relax, especially after “sweating it out” in the sauna. Those seeking a pleasant dip can cool off in the alluring kidney-shaped chemical free Enviroswim pool. 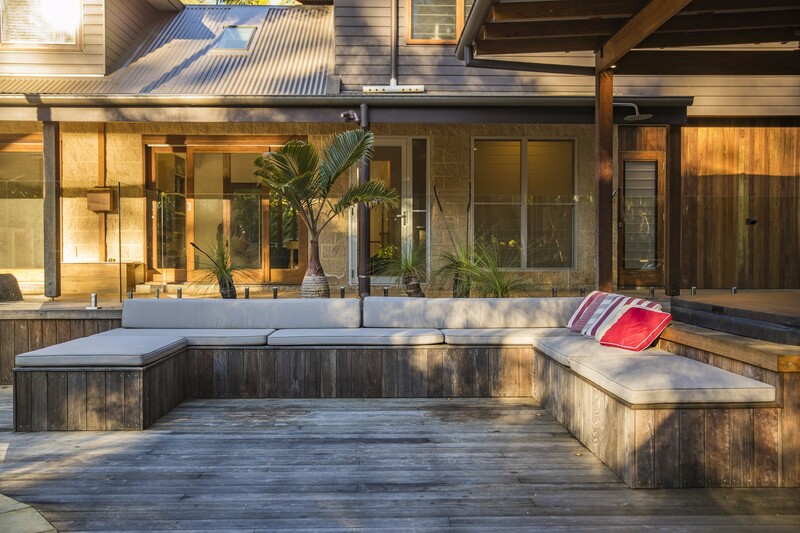 The wooden deck is the perfect place to relax on lounge chairs with a good book, surrounded by lush greenery and birdsong. Parking is abundant at Apalie Retreat. There are 3 spaces undercover in the carport and room for an additional 3 cars. 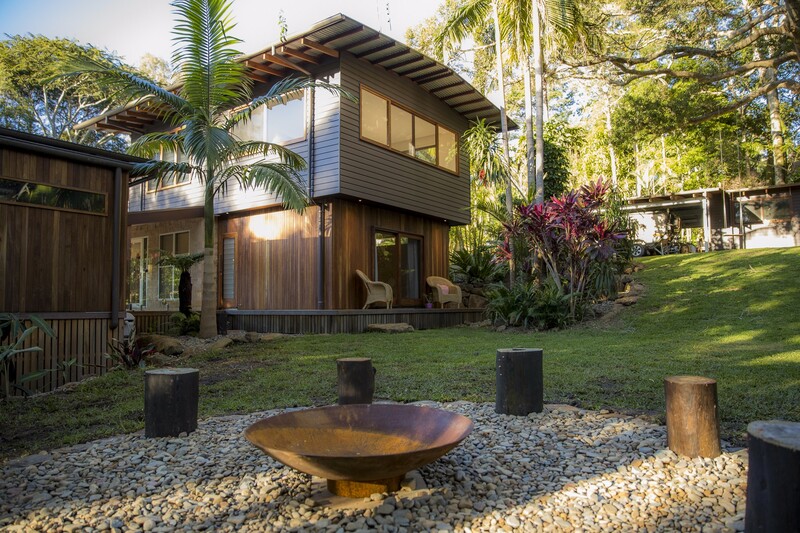 Located in the peaceful hinterland village of Ewingsdale, Apalie Retreat offers peaceful accommodation near Byron Bay. Families will enjoy “The Farm” attraction nearby and the highway provides convenient access to quaint villages and beaches, all within 7km of this rural retreat. The nearest local shops are 3km away. Hinterland villages, such as Bangalow, provide a surprisingly good source of high-end dining in characterful restaurants and cafés. 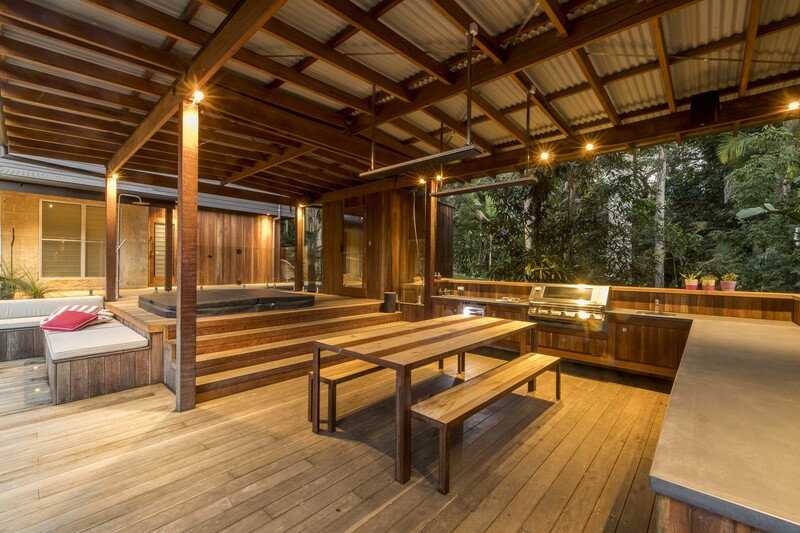 The Byron Hinterland offers scenic walks and nature spotting within several national parks. 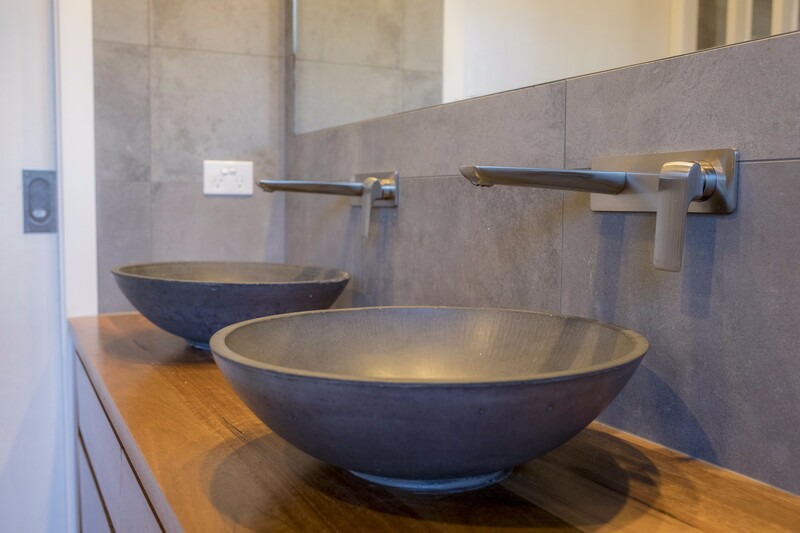 The spacious accommodation, garden and pool make Apalie Retreat the ideal choice for family gatherings or groups of friends seeking a spacious quiet retreat. What an amazing location. Can't wait to come back, already planning our next trip.